Jeannette MacDougall’s work ranges widely in style and subject. She is both a mixed media artist and a painter. During her time in Paducah she created three large abstract landscapes which she displayed outdoors in the Sculpture Garden at A.I.R. Studio. Her objective with her current landscape series is to draw the viewer into a spiritual space through painting a place at dawn and dusk. These points of time have what she calls a “fleeting moment of light… where you can almost feel the light moving”. Having her work displayed outdoors adds to this feeling of movement. The paintings are especially impressive to see in the morning and evening, when the color of light is transitioning, and the shadows cast by the trees in the sculpture garden move across the work. The large paintings were painted on top of old painter’s drop cloths, adding a layer below the painting. She made this choice intentionally in order to remind the viewer of the imperfection of nature and the irreverence to nature by humans. She says, “It’s not enough to create a beautiful painting” and believes it is her duty to help clean up the environment, and remind the viewer to do the same. Jeannette uses a variety of surfaces for her work. 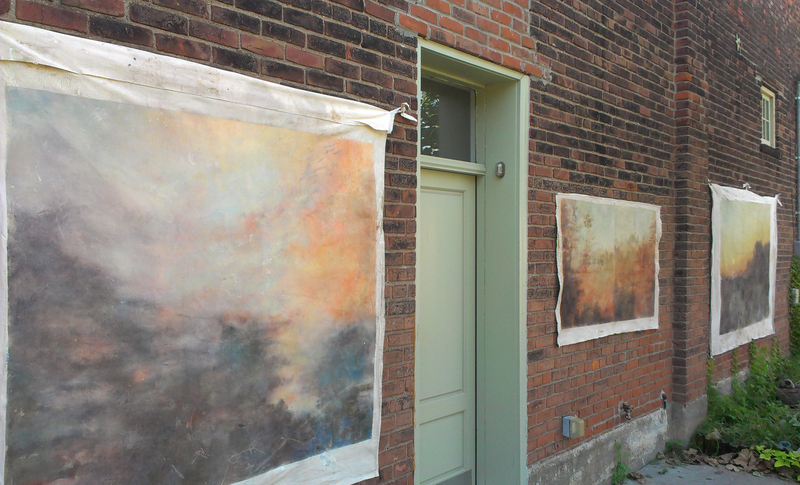 As a mixed media artist, her surface is important to her work, and she enjoys reusing old surfaces. She also enjoys using materials, such as venetian plaster, to imitate old surfaces. 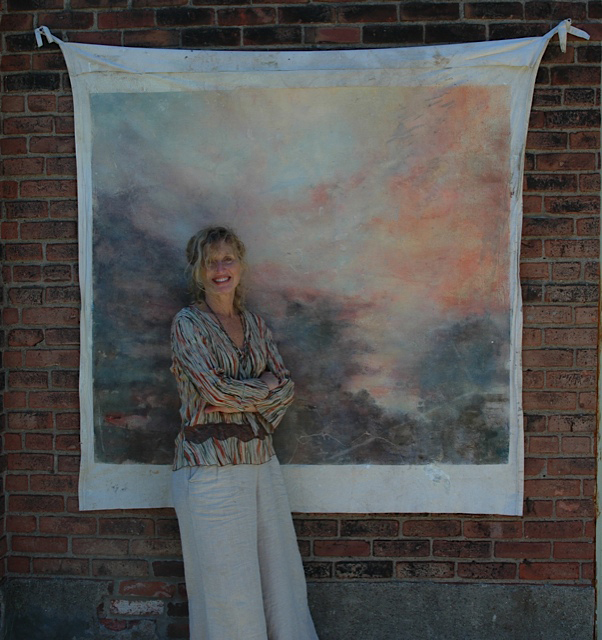 Her work is a process of adding and removing paint, using brushstrokes, rubbing, and lifting the paint to create a work reminiscent of watercolor. Jeannette uses photography to record her travels, and works from photos to capture the essence of a place. Her travels have taken her around the world, and she sees travel as very important in order to experience a place rather than to simply see it. Her photos help to inform her of the most important features of a place, and she chooses those details and amplifies them in her paintings. She uses the photographs to soften the harshness and remove what she sees as distractions. 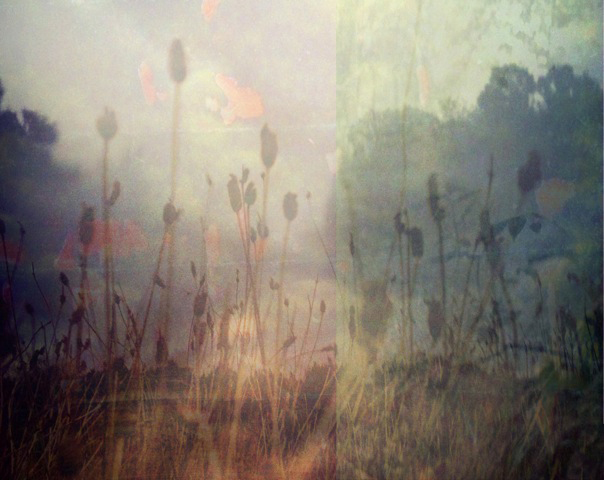 She also uses digital photography to create layered collages. Jeannette is an established artist visiting from San Antonio, Texas. She is a part-time Instructor of Drawing and Painting at the Southwest School of Art in San Antonio where she has taught for the past thirty years. She holds an M.S. in Education Administration and Supervision from Parson’s School of Art and Design in New York and a B.A. in Art from Trinity University in San Antonio. To see more of her work, visit her website.